We are delighted to provide you with a special offer on our Expect More Home Loan Owner Occupied PAYG package. This is a 'special broker offer' so you won’t see any advertising on the offer. 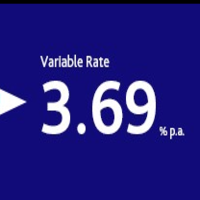 There is a discount on the variable interest rate of 3.79% by a further 0.10% to 3.69% pa. This represents a discount of 1.95% on the EMHL standard variable rate for the life of the loan. If the LVR does not exceed 70%* the annual package fee is waived for the life of the loan. This exclusive offer is available for applications received within before the end of May 2017, so you’ll need to be quick. *The comparison rate is based on a $150,000 secured loan for 25 years with an LVR of less than 70%. Warning: This Comparison Rate is true only for the examples given and may not include all fees and charges. Different terms, fees and or other loan amounts may result in a different Comparison Rate.